http://www.aventuraclothing.com/. Their ethic is revolves around using cotton that’s organically farmed and doing as much as possible to reduce their carbon footprint. 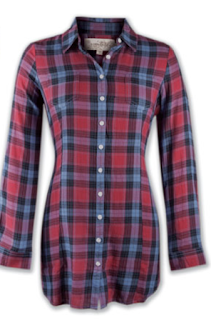 I recently tried their Newberry shirt, a comfortable flannel fabric that’s actually a tunic, and one that pairs well with a pair of leggings. (It’s 100% organic cotton.) This works well as a practical outfit on the plane. 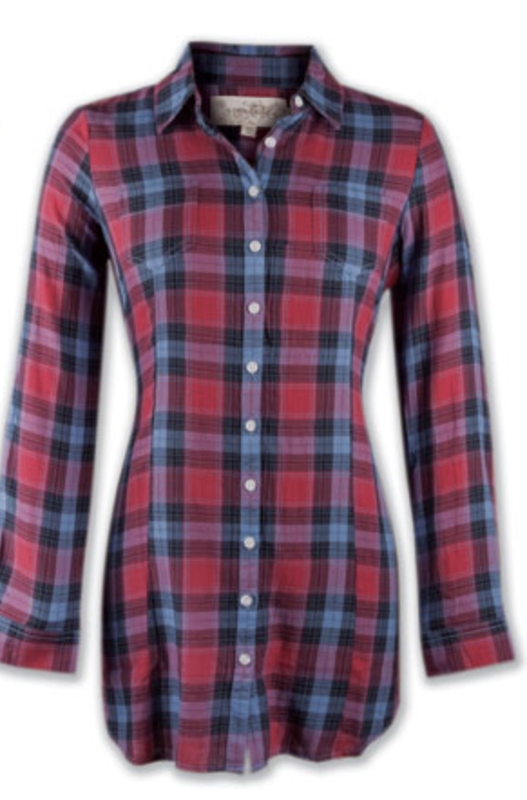 If it gets too warm, you can roll up the sleeves, fastening them with the buttoned tabs. 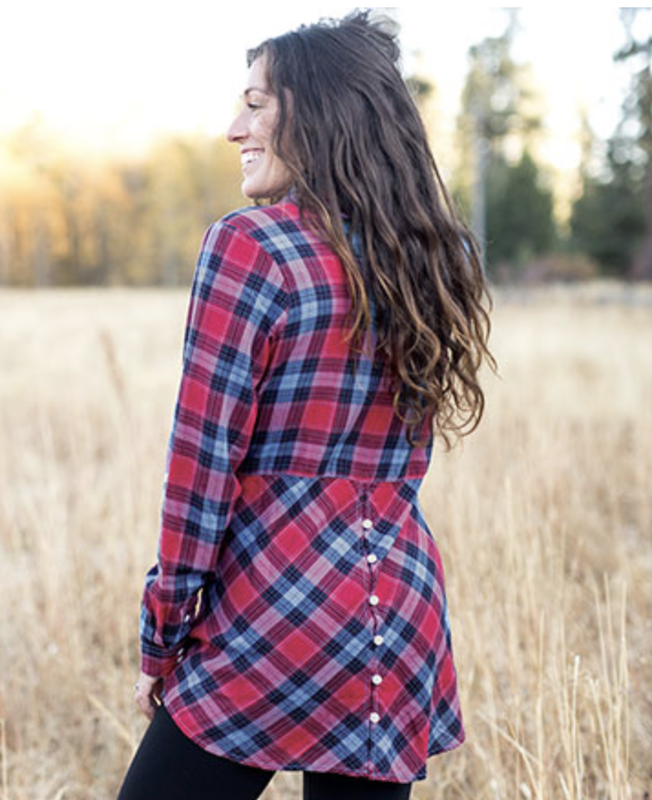 And, though many women may wear their male partner’s flannel shirt around the house, this tunic has a feminine silhouette, complete with decorative buttons on the back.